All kinds of fun and exercise can be had on our Outdoor Rec Courts. Located behind McLane Hall and Beall Hall, there are four tennis courts, two full-size basketball courts, and three full-size sand volleyball courts. In addition to the courts, there is a large, lighted Intramural Rec Field used for flag football, soccer, softball, and many other sports. All Rec Courts and Intramural Fields are well-lit for nighttime use, so you can get your exercise in any time of the day or night! The Rec Courts and Intramural Fields are used on a first-come, first-serve basis unless a prior reservation has been made with Event Services. 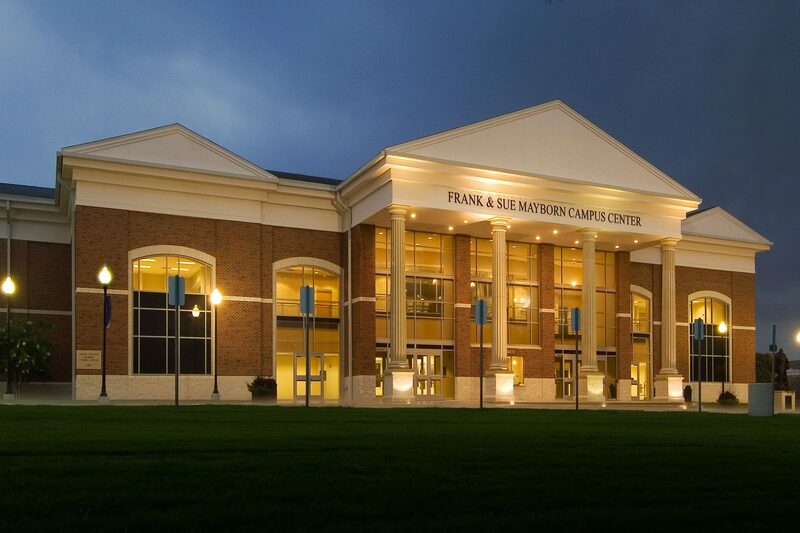 Reservations for special events are booked through the campus-wide EMS online reservation system. 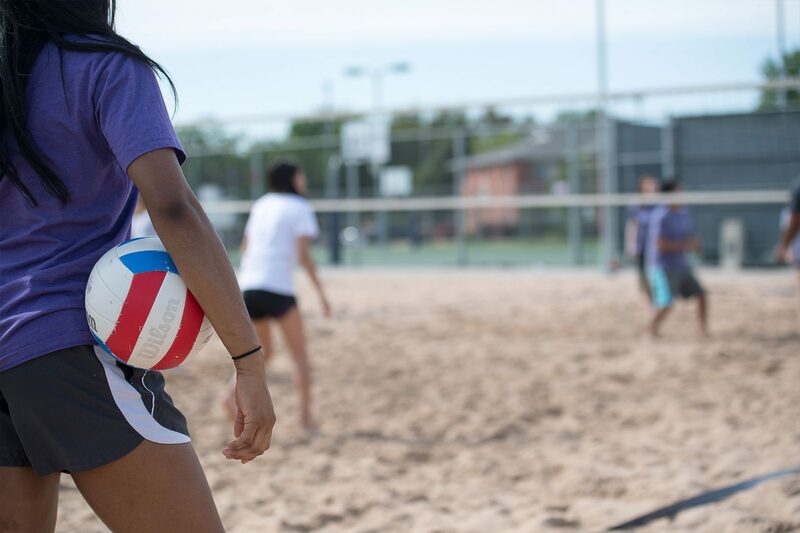 Use of the Outdoor Rec Courts and Intramural Fields is reserved solely for UMHB students, faculty, and staff. Always be prepared to show your current/valid CruCard. Guests are allowed, but the policy is a 1:1 ratio. Each guest must be accompanied by a CruCard-carrying UMHB student or faculty/staff member. That means one UMHB student can't bring three non-UMHB students, even if they are your best friends! Mayborn is home to the Brentham Fitness Center, Mabee-Farris Recreation Gym, Barbara Chaney Natatorium, and all of our CruFit classes. During regular operating hours, you are welcome to lift weights, work out on the cardio equipment, play ping pong, or lap swim at your convenience. The Outdoor Adventure Recreational Center (OARC) is located at the back of campus, on the beautiful Nolan Creek. 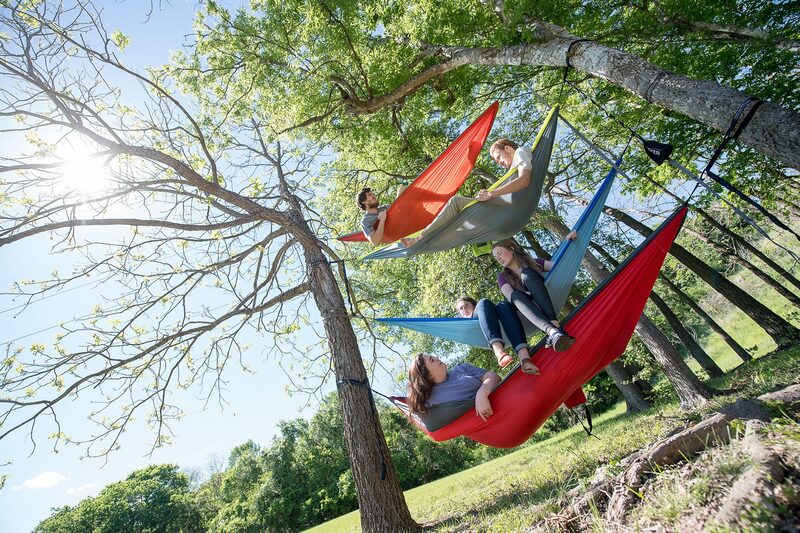 There are nearly 60 acres in this area with trails to enjoy and plenty of trees for hammocking.